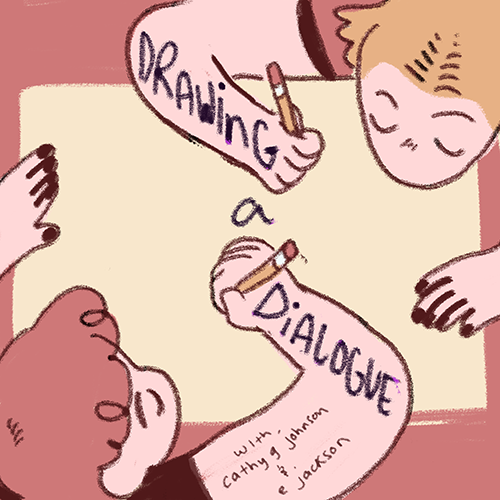 Drawing a Dialogue, Episode 7: Violence in Comics + How It Affects Us — Comic Art Ed! Episode 7: Cathy + e examine the aesthetics of violence, its depictions in comics, + look at research on how media violence affects its viewers. 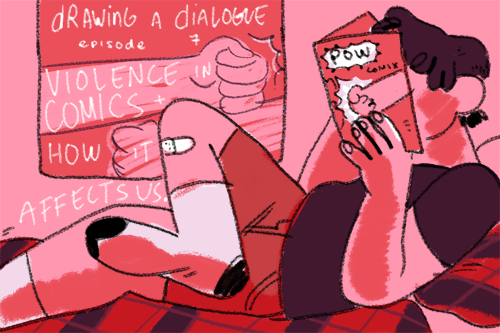 e examines the ways comics are uniquely suited to depict traumatic memories + violent acts; Cathy talks about the ways the art classroom can address school violence. Hajdu, D. (2008). The Ten-Cent Plague: The Great Comic-Book Scare and How It Changed America. New York: Picador. Schott, G. (2016). Violent Games: Rules, Realism and Effect. New York: Bloomsbury Academic. Spiegelman, A. Maus. New York: Pantheon Books. Lewis, J., Aydin, A., Powell, N., & Walton, L. (2016). March. Marietta, GA: Top Shelf Productions. Freedman, J. L. (2013). Media Violence and Its Effect on Aggression : Assessing the Scientific Evidence. Toronto: University of Toronto Press, Scholarly Publishing Division. O'Dea, J. (2015). Media and Violence: Does McLuhan Provide a Connection?. Educational Theory, 65(4), 405-421. Smith, P. (2000). Violence and Art Education. Paper presented at the Annual Meeting of the National Art Education Association (Los Angeles, CA, March 30-April 4, 2000). Heise, D. d. (2014). Steeling and Resilience in Art Education. Art Education, 67(3), 26-30. Live show coming up December 9 - 10, 2017 at Comic Arts Los Angeles!